Activision has released the new Comic-Con trailer for Spider-Man: Shattered Dimensions which introduces you to the fourth dimension – Ultimate. Coming September 7, "Spider-Man: Shattered Dimensions" is a thrilling action-packed adventure set in four dramatically different universes from legendary Spider-Man lore, each with a distinct Spider-Man armed with unique skills and strengths, in one original storyline. Players will be transported to new locations never before seen in a Spider-Man game, from lush jungles and dusty deserts to various urban terrains. Acclaimed Marvel comic book writer Dan Slott takes players on a mission to contain the magical energy of the Tablet of Order and Chaos, which has been shattered and sent hurtling across parallel universes, and battle fan-favorite villains in a quest to restore the fabric of reality. 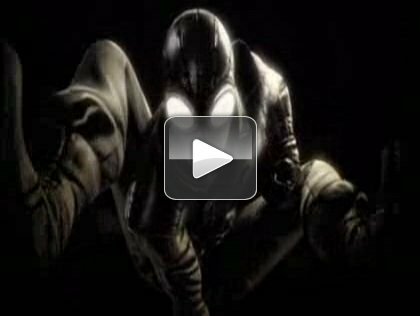 "Spider-Man: Shattered Dimensions" is in development by Beenox for Xbox 360, PS3 and Wii, and by Griptonite Games for Nintendo DS.